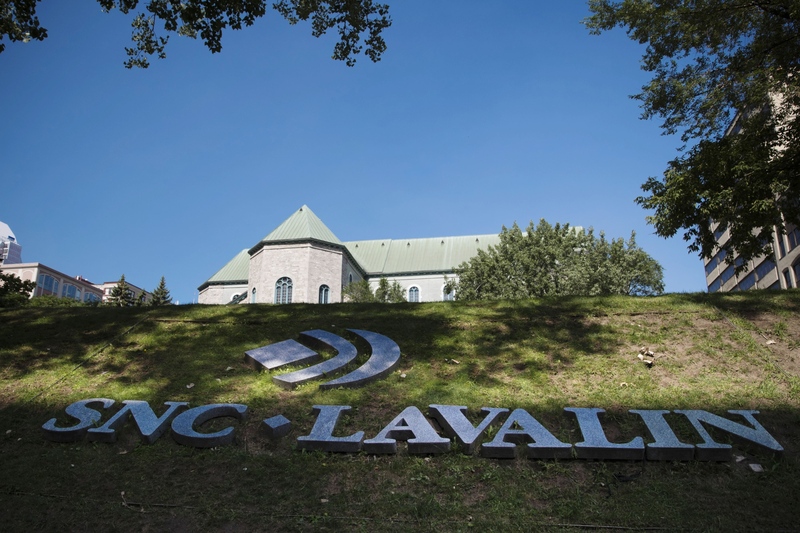 SNC-Lavalin Group Inc. dropped the most in at least 27 years after the builder warned it would miss its full-year profit target due to a “serious problem” with a mining contract. It also wrote down the value of its energy unit by $1.24 billion amid a diplomatic spat between Canada and Saudi Arabia. The engineering and construction firm said it incurred additional costs in the fourth quarter at an unidentified mining and metallurgy project, and couldn’t “reach agreement” with the client to book revenue, according to a statement Monday. Worse than expected trading challenges in oil and gas in the Middle East -- and Saudi Arabia in particular -- also weighed on fourth-quarter results, SNC added. The company is weighing a possible exit from Saudi Arabia as a result. The announcement dials up the pressure on SNC following the refusal last year by Canadian prosecutors to reach a negotiated settlement with the company over past corruption charges. The lack of a deal with Canada has probably cost SNC more than $5 billion in lost revenue and continues to damage its reputation internationally, Chief Executive Officer Neil Bruce told BNN Bloomberg TV in an interview last month. SNC plummeted 27 per cent to $35.33 at 1:42 p.m. in Toronto. Earlier the stock dropped as much as 31 per cent, its biggest intraday decline since at least January 1992, according to data compiled by Bloomberg. The plunge wiped out about $2.4 billion in market value and pushed the stock to a three-year low. Adjusted profit from engineering and construction will be $1.15 to $1.30 a share in 2018, SNC said Monday. That’s down from an earlier forecast for profit of as much as $2.85 a share. Overall profit for the year will be $2.15 to $2.30 a share, short of the $3.60 to $3.85 range that the Montreal-based company provided as recently as November. What’s the biggest threat facing SNC-Lavalin? SNC’s announcement means the company won’t be able to meet its goal of adjusted profit of $5 a share by 2020, Bruce said. “In terms of the progression of the company and the growth in EPS, we feel like we’ve sort of gone back a year a year and a bit,” he said on a conference call with analysts. As a result of its latest setback, SNC will consider asset sales -- including a possible exit from Saudi Arabia -- to focus on businesses that have the most predictable results. The troubled mining project is scheduled to be completed by the start of the second quarter, Bruce said Monday. Asked by one analyst on the call if the project in question was linked to Chilean copper miner Codelco, the CEO declined to comment. “This isolated incident is unacceptable and I intend to take appropriate actions to mitigate the financial impacts for the company,” Bruce said. SNC didn’t identify the troubled project, saying only that the contract was awarded in 2016. A Codelco smelter contract was signed with SNC that year. Codelco officials declined to comment. A diplomatic spat with Saudi Arabia is also having an impact on SNC’s operations. Saudi Arabia froze diplomatic ties and new business deals with Canada in August, following a call by Canadian Foreign Minister Chrystia Freeland for Saudi human rights activists to be released from prison. The dispute sparked SNC to write down the fair value of its oil and gas segment by $7.06 a share, as a result of impairment tests. “Inter-governmental relations between Canada and Saudi Arabia, together with unpredictable commodity prices and uncertain client investment plans, have led to deterioration in our near-term prospects which we cannot ignore,” SNC said. The writedown represents less than 50 per cent of the value of the oil and gas business, Chief Financial Officer Sylvain Girard said without being more specific. More than 15 per cent of the company’s global workforce is employed on work in Saudi Arabia, which has been a key source of revenue growth in recent years.